Lechange, the brand for Dahua Technology's consumer products, officially launched LOOC, its new active deterrence Wi-Fi camera. 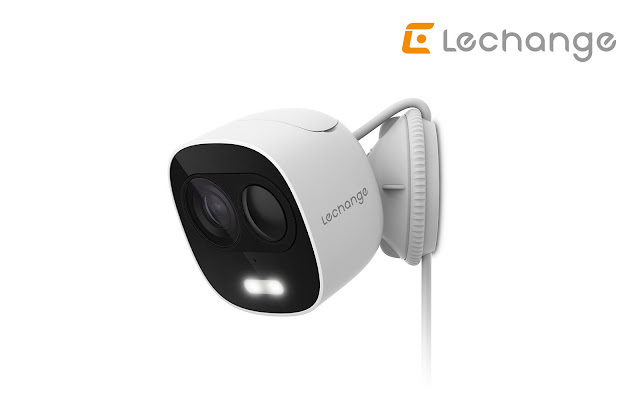 With advanced PIR detector, built-in spotlight and 110dB security siren, LOOC is not only able to provide proactive warning with accuracy, but also help create a safer environment for households and business places. LOOC provides sweet protection by alerting you with a notification to your or family's smartphone, with live video available wherever there is Internet. Even in the night, automatically-switched night vision mode and advanced IR algorithms help offer clear pictures in complete darkness. With all these features, LOOC is no doubt an ideal choice for those who desire advanced video surveillance solutions with individual styles. With true values delivered to families and SMBs, Lechange is perfecting daily life.